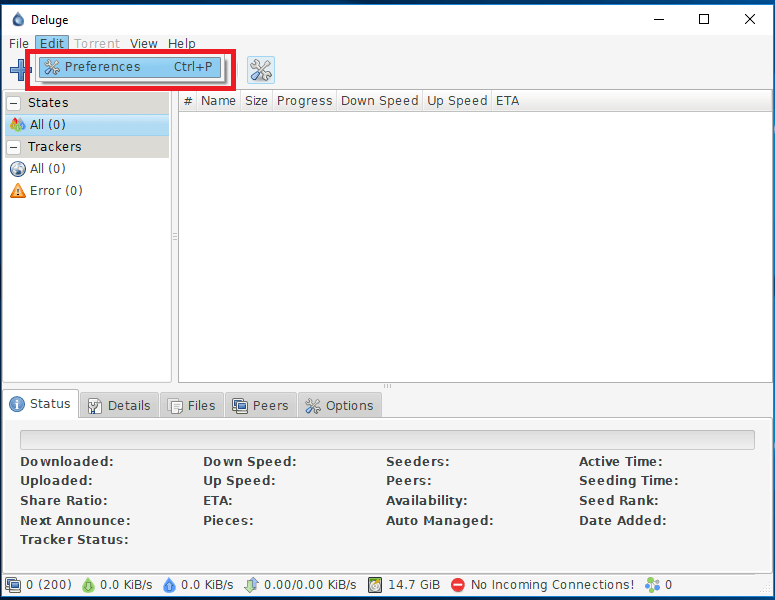 Setup a Windscribe SOCKS5 proxy in your Deluge torrent client. In Deluge, Click on Edit, then Preferences. 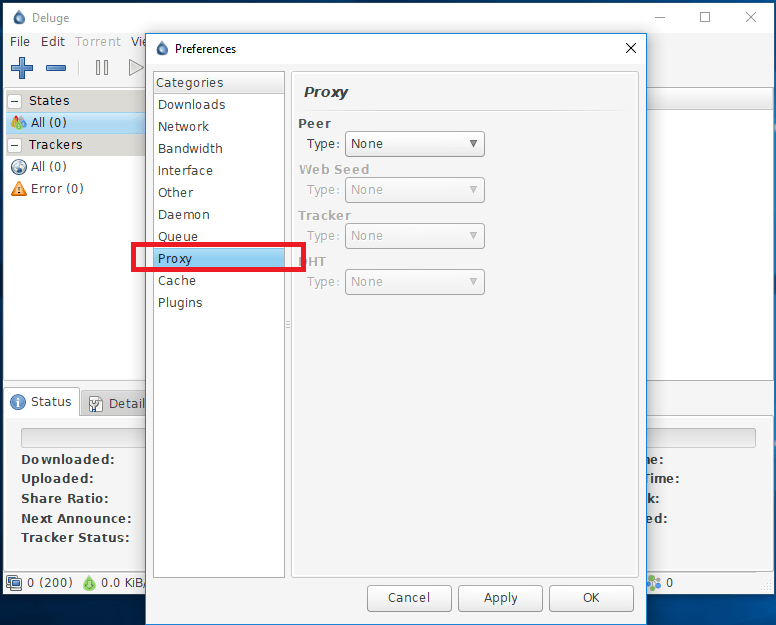 Click on Proxy from the Preferences Categories. 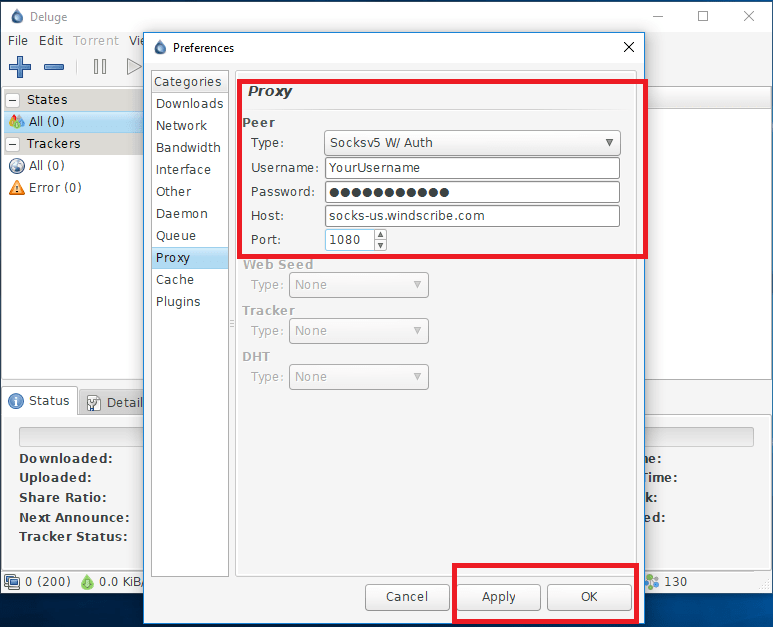 Select "Socksv5 W/Auth" as Peer type. 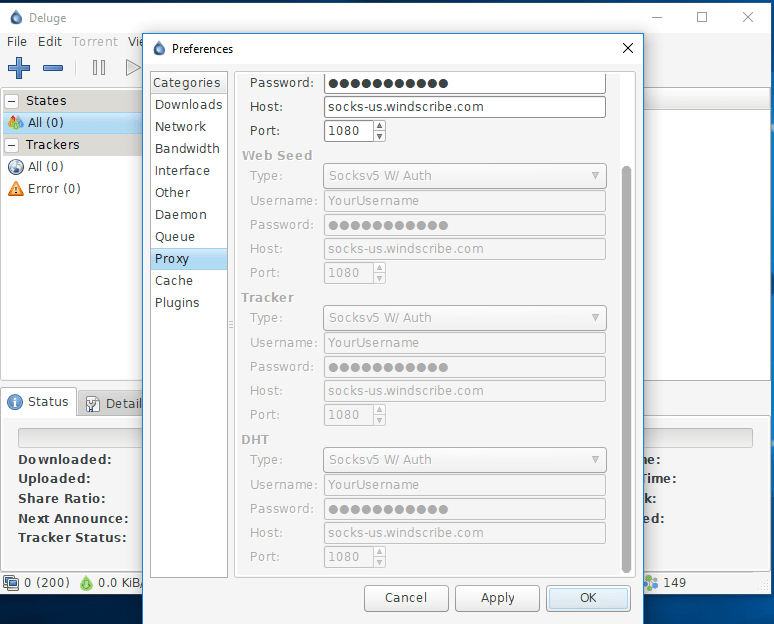 Input Username and Password, Host Server address, Port number, as provided on the SOCKS5 Profile Generator page. Then press Apply and OK.
Click on Edit, then Preferences again, you will see other sections "Web Seed" "Tracker" and "DHT" automatically configured with the same settings.